My daughter and I were cruising through the grocery store yesterday contemplating what we wanted for dinner. We hit the seafood section and she saw clams and said "Daddy are those the things with the little chewy piece of meat on the shell after you eat the clam" (she's talking about the abductor muscle). I said yes and she said "can we have those for dinner"? 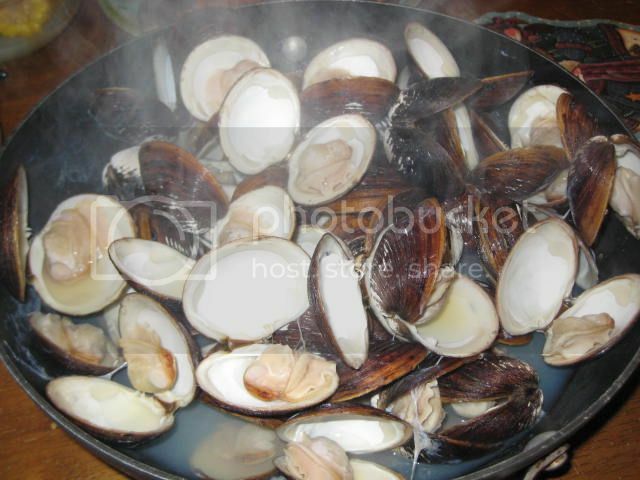 Well, clams are a favorite of mine as well, so I obliged. We already had a 2lb bag of frozen jumbo shrimp at home and leftover baked cheesy potatoes my wife made the night before, so this was a simple dinner! 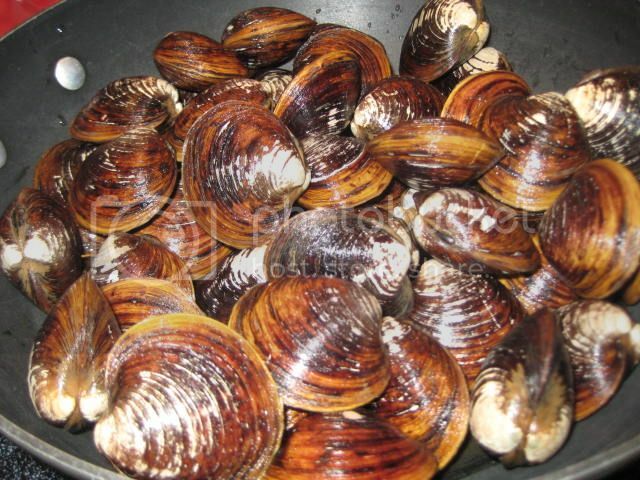 1 bag of Mahogany Clams...$6.99 for 50 clams, not a bad price and none were dead! Put into a pot with a little water and steamed for about 5 minutes, or until they all had opened. 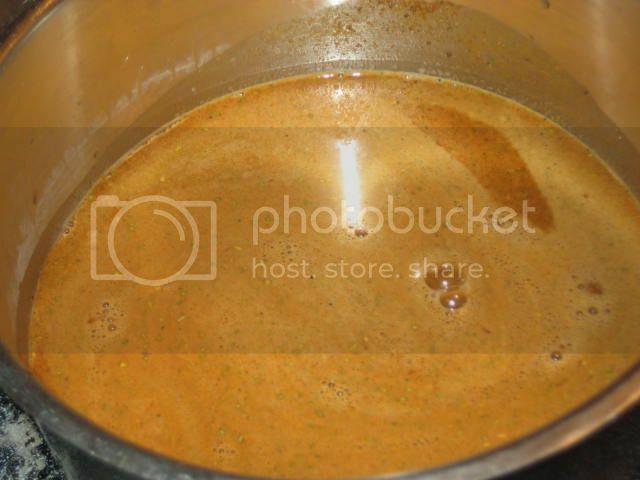 While the clams were steaming, I prepared the broth for the shrimp. 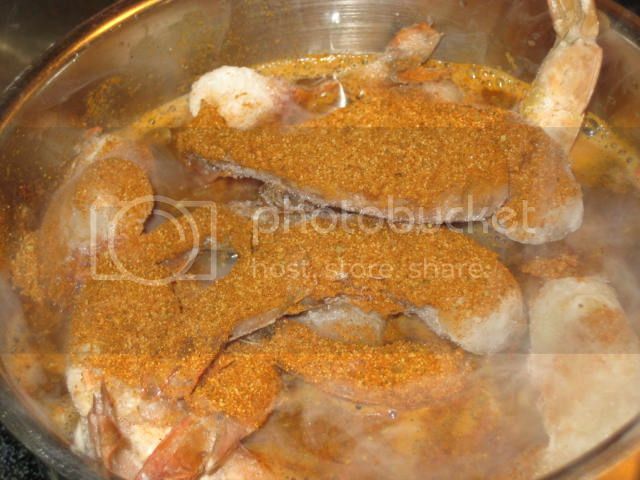 1 can of beer, 1/2 cup apple cider vinegar and alot of Old Bay Seafood Seasoning. 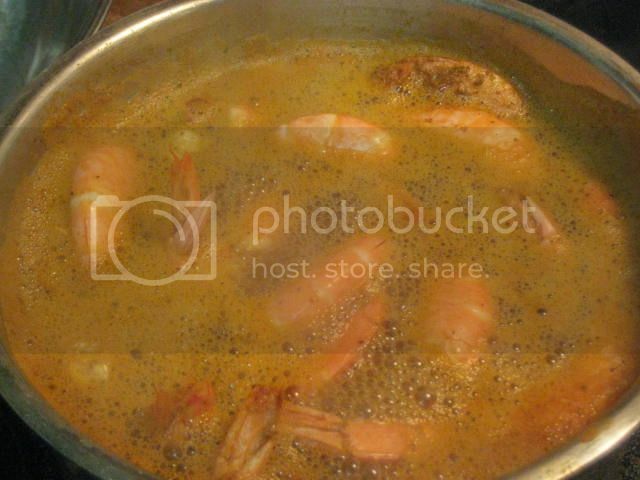 Brought to a boil and added the shrimp along with additional Old Bay! 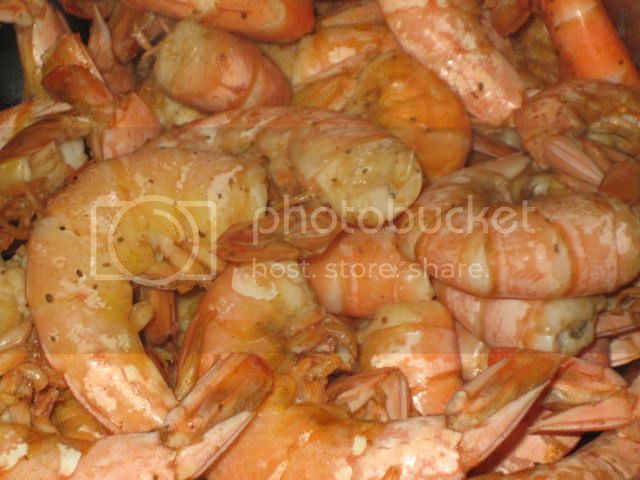 Brought to a boil and the shrimp are done! My first of 3 plates. No I didn't clarify the butter, so what! :-) I also had some homemade cocktail sauce not pictured. Looks good, as always Larry. 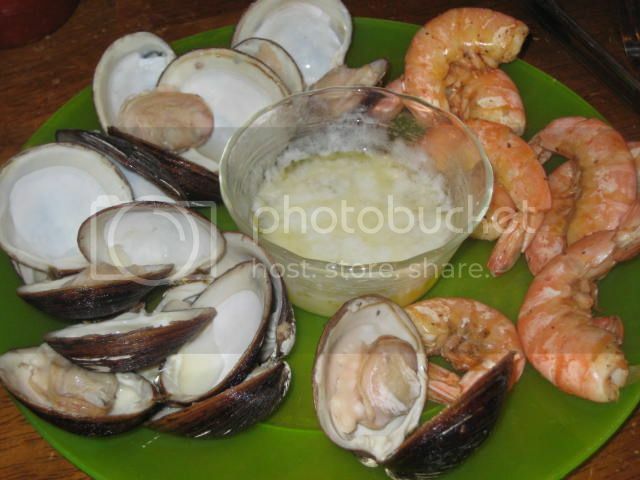 Shrimp and clams make for a fine meal at any time. I have beans on for my catfish lunch today. Looks good Larry. 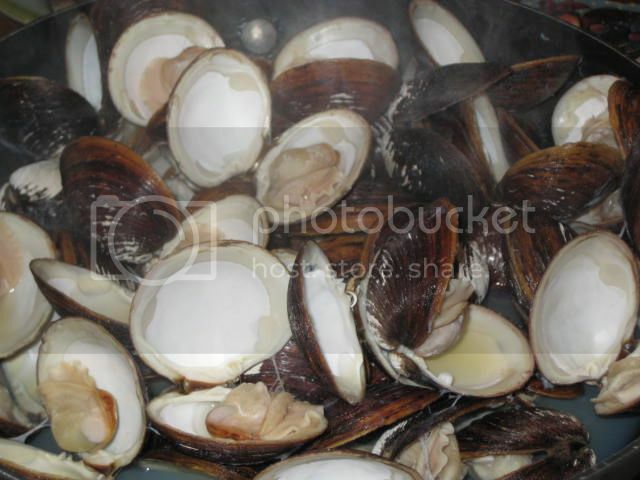 I lived in South Jersey for a few years in my youth and clams were a regular feature on the menu - miss being able to get the good fresh ones or dig my own.